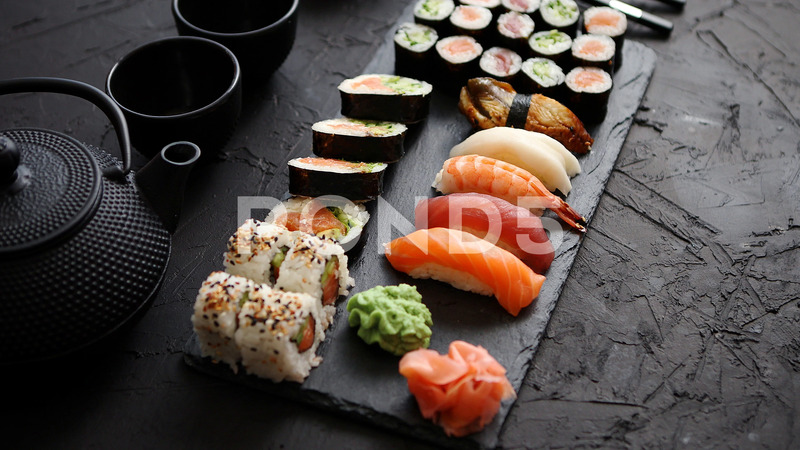 Description: Sushi rolls set with salmon and tuna fish served on black stone board. Top view of traditional japanese cuisine. Asian food on black stone slate with chopsticks.